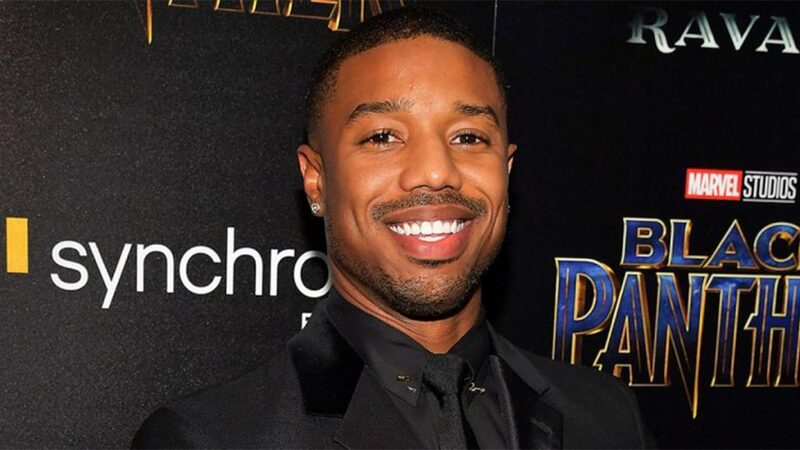 If the name Michael B. Jordan only evokes the image of a basketball player, then it is time to know that there is a successful actor who bears the same name but with a clearly different middle name “B” for Bakari meaning “noble promise” in Swahili. Maybe you will remember him as Oscar Grant in the film Fruitvale. If, however, it still hasn’t struck a chord, then maybe the rugged King who from nowhere dethroned the main King of Wakanda in the blockbuster superhero film Black Panther would. And no, he doesn’t have a relationship whatsoever with the basketball player Michael Jordan. Michael B. Jordan has been in the acting circuit since 1999 and has appeared in some of the most successful TV dramas of the past ten years such as HBO smash hit series The Wire, NBC’s Friday Night Lights and Parenthood. There is so much to learn about the renowned actor, so read on for more. Here’s what to know about the talented actor. Michael B. Jordan was born to Donna and Michael A. Jordan On February 9, 1987. He spent a little time in Santa Ana, California where he was born before his family moved to New Jersey. Jordan attended New Arts High School and was a bubbly teenager who played basketball for his school. Having found passion in acting, the actor has completely mastered the arts and is now among the most successful. Jordan comes from a pretty small background. His mom Donna Jordan is an artist and a school counsellor at his former school, Newark Arts High School. He has two siblings, older sister Jamila and brother Khalid. There is not much known about his family but clearly, he loves them and makes them his first priority. Michael B. Jordan began what would turn out to be a productive career in the film industry in the late 1990s with brief TV appearances in the two famous series Cosby and The Sopranos. Prior to this, he was modelling for some great brands. His first major film role was in 2001 where stole the show as Jamal in the sports comedy hit Hardball. The actor remained unwavering in his pursuits, appearing in a couple of other films including Cold Case, All My Children, and Without A Trace. He also made some notable TV appearances during the early 2000s in some shows such as The Wire, CSI: Crime Scene Investigation, and The Assistants. Having demonstrated his determination from the get-go, he reinforced this significant fact in TV scene with guest appearances in TV series Burn Notice and in the drama series Law & Order: Criminal Intent. The actor made his way to more deals, grabbing roles in All My Children and a lead role in Blackout. Jordan made a victories move when in 2009, he clinched the chance to appear in NBC drama Friday Night Lights which aired from 2006 to 2011. A year after joining the cast, Nylon Magazine named him one of the 55 faces of the future ( that is young rising stars). The same year, the actor and Jason Katims, the showrunner of Friday Night continued their successful collaboration with another opportunity to feature on the NBC show Parenthood. However, the Black Panther actor became a Hollywood favourite in 2013 when he appeared in the blockbuster film Fruitvale Station. That year was particularly favourable for Jordan. First, his portrayal as Oscar Grant Film, a 22-year old shoot victim of police earned him mega acclaim with famous film critic Todd McCarthy describing him as a young Denzel Washington. Secondly, well-regarded magazines such as Time, People and Variety discretely named him among that year’s break out stars as well as 30 people under 30 making changes in the world. Faced with this overwhelming fame, Jordan maintained his relevance with a role in the award-winning film Creed where he played Adonis Creed, the son of heavyweight Champion Apollo Creed. The actor has since held his ground, especially when it comes to taking apt decisions for his career. He has done a hand full of amazing projects recently include working in the HBO TV series Fahrenheit 451. Also, his recent pre-eminence in what appeared to be one of the most anticipated films of recent times, Black Panther, by Marvel where he played Erik Killmonger has been opening more doors for him with very many upcoming projects which will surely warm the hearts of audiences. The heroic film also featured big stars like Daniel Kaluuya and Lupita Nyong’o. Apart from acting, Jordan has also worked on a number of high-profile projects including voicing; Jace in Grea of War 3, an Xbox 360, featuring in popular music videos, to name a few. Michael B. Jordan always keeps things surrounding his personal life under wraps. Since getting his breakthrough in the industry, the much he has ever hinted about his love life was just when he conceded to being in a relationship. However, he played coy about revealing the name of the lucky woman. Meanwhile, before this, there were speculations amongst his curious fans suggesting that he was dating Ashlyn Castro. The rumour came up after the duo was caught in some videos having a fun time on both new year’s eve and Kwanza. As it stands now, the actor is single technically but definitely dating someone that we are yet to put a name and possibly a gender to. Michael B. Jordan is of course on his road to achieving his life dream. But so far, he has made more money than many old heads in the industry. His net worth is estimated at $8 million including a mansion he bought at $1.7 million in 2015 for his parents in Sherman Oaks. He hopes to get his own house soon and that’s is a cool step for a star who is just starting to live up to his life dream.